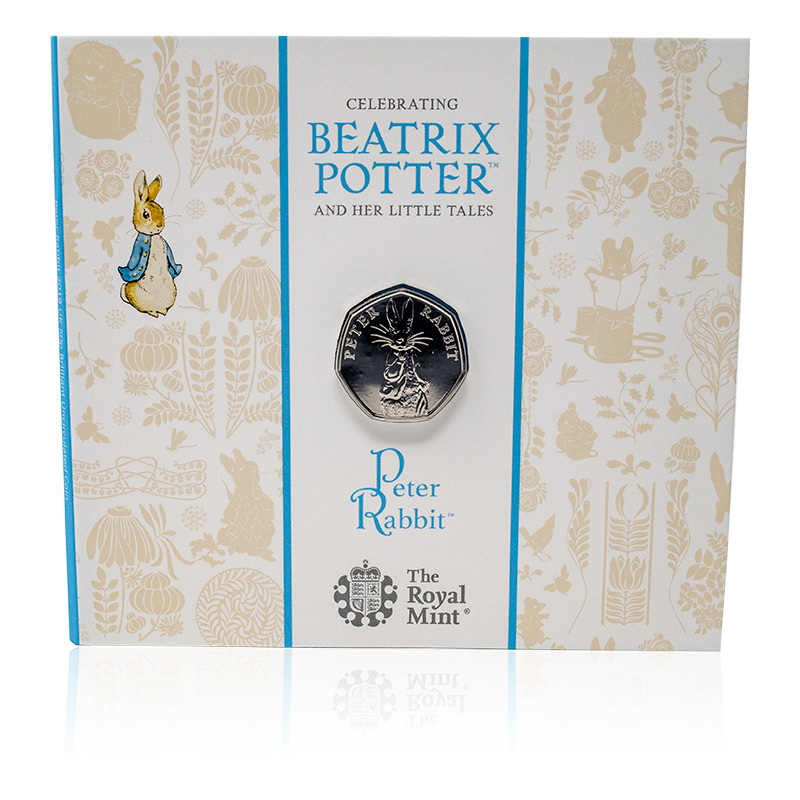 The Royal Mint first introduced the Beatrix Potter 50p coin collection in 2016 to commemorate her 150th birthday with Peter Rabbit coins being the most popular of the character coins. The Royal Mail has gone on to release a new Peter Rabbit coin every year since and this year sees the fourth coin in this massively popular collectors’ series. 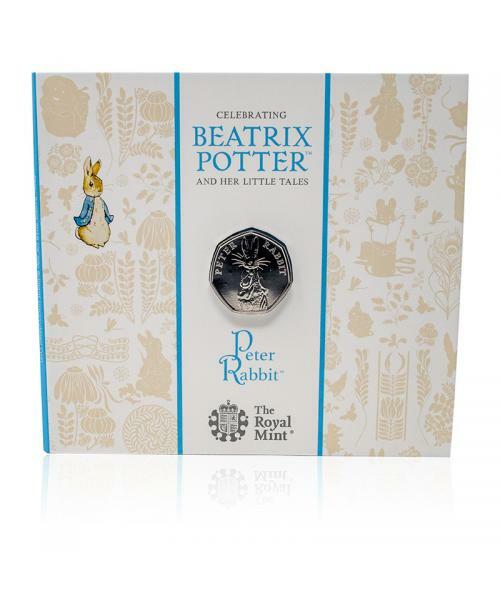 This Brilliant Uncirculated issue is mounted in a folder featuring the original illustrations of Beatrix Potter and can only be purchase since this coin will not appear in general circulation. Who is the woman behind these many beloved characters that are still treasured so dearly today? Helen Beatrix Potter (1866-1943) was an English writer, illustration, natural scientist and conservationist. She was best known for her collection of 23 children’s books featuring now iconic characters including Peter Rabbit, Squirrel Nutkin, Jemima Puddle Duck and Mrs Tiggy-Winkle. Beatrix Potter’s stories are beloved amongst generations and have stood the test of time, and the annual release of the Peter Rabbit 50p coin now create much excitement and anticipated amongst casual admirers and professional collectors alike.